Bingo player's delight! 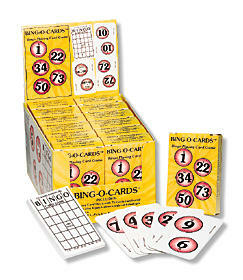 Bingo pad sheets enable players to select their own numbers before playing the game, or use regular bingo boards. The game is complete with 75 numbered cards and 8 Quick Bingo cards.